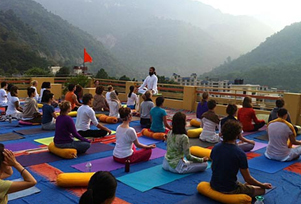 Rejuvenate your body through yoga with our 10 days and 9 nights Rishikesh yoga tour package. From the vibrant Delhi city to the spiritual land of Rishikesh, popularly known as ‘yoga capital of the world’, the holiday will refresh your body and soul completely. Our package comes with learning yoga in Rishikesh Ashram located amidst the snow-clad Himalayas and pious river Ganga. This yoga tour in Rishikesh will give you a wonderful chance to live in a sacred environment and feel spiritual energy. The package has been thoughtfully designed for people searching a healthy lifestyle. 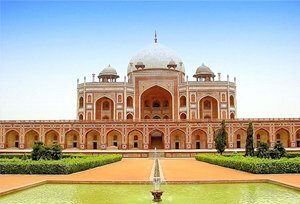 The Tour My India representatives will take care of all your requirements from accommodation to commutation. All you have to do is give us an opportunity to be your travel guide and we guarantee that you will have a pleasurable time. Breakfast at the hotel and transfer to railway station to connect train for Rishikesh. Upon arrival at Rishikesh meeting and assistance followed by transfer to Ashram. Overnight stay at Ashram. Stay at ashram for Yoga classes. Transfer to railway station to connect train for Delhi.